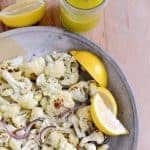 Roasted Cauliflower with Lemon Vinaigrette is delicious and only takes about 20 minutes to make. 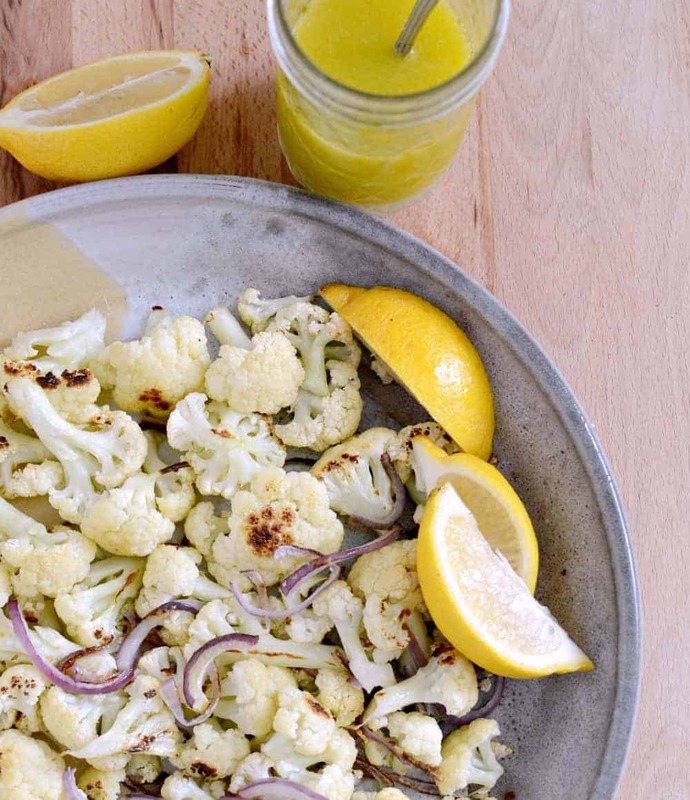 Roasted Cauliflower with Lemon Vinaigrette sounds way fancier than it actually is. This simple recipe takes about 10 minutes to prep, 15 minutes to cook, and tastes like a dream. It’s so easy to be stuck in a vegetable side dish rut, but this recipe my friends, is here to save you from that. Roasting is one of my all-time favorite ways to cook just about any vegetable, but cauliflower is the true roasted vegetable star in my book. It is so very good. I use roasted cauliflower as “noodles” when I want to enjoy a rich alfredo sauce or use it as “rice” to enjoy my favorite red curry, green curry, or butter chicken over. It’s such a delicious vehicle for rich sauces while saving calories. 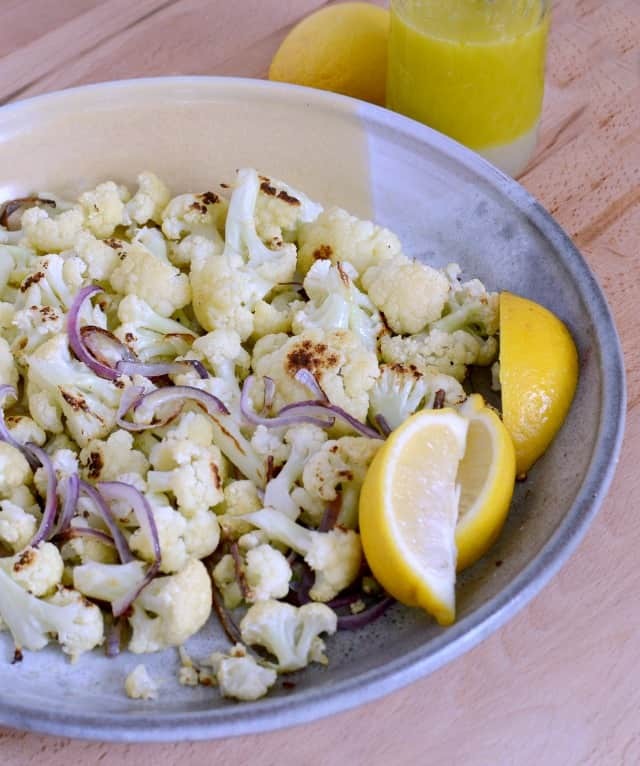 Cauliflower simply roasted with little olive oil and salt is delicious, but by adding a simple bright lemon vinaigrette, you really make the roasted cauliflower a stand-alone side dish. This dish is easy enough to make for a quick weeknight meal but impressive enough that you could serve it at your next dinner party. No matter the reason, you have to try it. I know you are going to love it. You can use traditional ground black pepper in the vinaigrette if you don’t have white. You can add the zest of one lemon to the vinaigrette for a more lemony flavor. 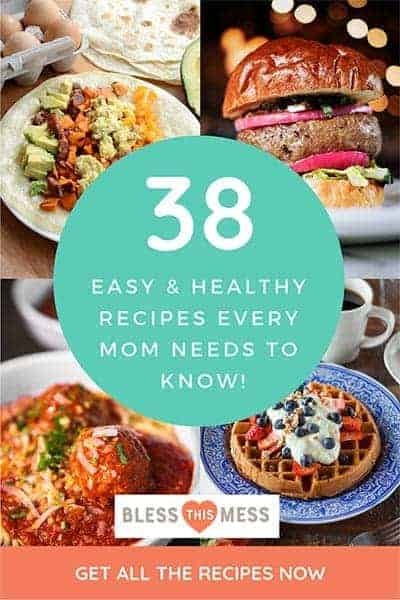 You won’t use all of it so store any leftovers in the fridge for up to 2 weeks, letting it come to room temperature before using. This dressing is excellent on spinach salads. Short on time in the evening? Prep the vinaigrette ahead of time and cut up the cauliflower and stick it in a container in the fridge. Less prep means it’ll be on the table faster. What are the best vegetables to roast in the oven? My favorite veggies to roast are: potatoes, carrots, parsnips, sweet potatoes, broccoli, Brussels sprouts, zucchini, summer squash, onions, cauliflower and bell peppers. Roasting is a simple and hands off way to prepare vegetables and it makes them taste extra sweet. Have you had roasted beets? It’s my all-time favorite way to eat beets. To prepare the roasted cauliflower preheat the oven to 425 degrees and line a baking sheet with parchment paper. Break the cauliflower into small bite-size pieces and place it in a medium bowl. Add the sliced red onion and 3 tablespoons of olive oil. Toss to combine. Spread the vegetables onto the prepared baking sheet. Sprinkle lightly with Kosher salt. Roast for 12-18 minutes until the cauliflower is tender and starting to brown where it touches the pan. Remove from the oven. 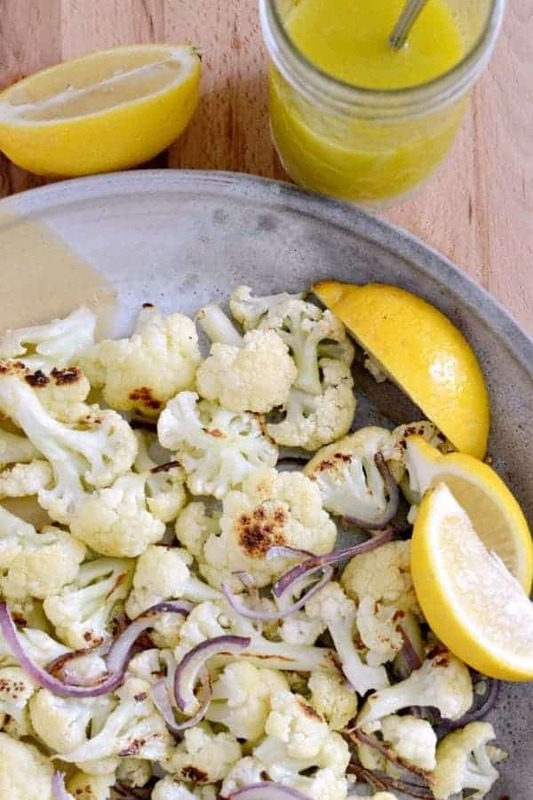 While the cauliflower is roasted making your lemon vinaigrette. Add all of the ingredients to a mason jar, add the lid, and shake well to combine. Place the hot cauliflower and onions in a serving bowl and drizzle with the vinaigrette to taste. Serve right away. 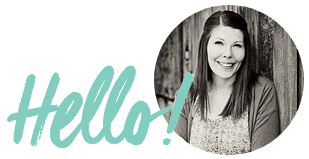 Give this yummy recipe a try! You won’t be disappointed. I absolutely love roasted cauliflower. It really is a show stopper! I could eat it all day, everyday! I totally agree that roasted cauliflower may be the star of roasted veggies. This sounds delightful with the lemon vinaigrette to go with! I don’t know why I’ve never roasted cauliflower! This recipe looks so good and easy. Going to have to try it.